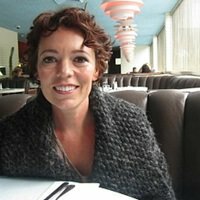 A new period drama starring Olivia Colman, Emma Stone and Rachel Weisz is to premiere during the BFI London Film Festival. 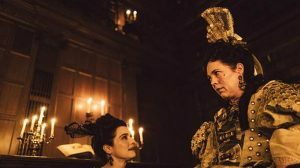 The Favourite will be shown on the event’s American Express Gala night at Cineworld in Leicester Square on October 18. Directed by Academy Award-nominated director Yorgos Lanthimos, known for The Lobster, the film is set in the early 18th century against the backdrop of the war between England and France. Colman plays Queen Anne, while Weisz portrays Lady Sarah, her close friend who governs the country while the tempestuous Queen is unwell. However, Lady Sarah’s close bond with the Queen is threatened when charming new servant Abigail, played by Stone, arrives, and she sees a chance to return to her aristocratic roots. The film also stars Nicholas Hoult, Joe Alwyn, Mark Gatiss, James Smith and Jenny Rainsford. BFI London Film Festival artistic director Tricia Tuttle said: “This is wickedly funny film-making from Yorgos Lanthimos, who is operating at virtuoso frequency. The film festival kicks off on October 10 with Widows, directed by Steve McQueen and starring Viola Davis. It ends on October 21, with Laurel and Hardy film Stan And Ollie, starring Steve Coogan and John C Reilly and directed by Filth director Jon S Baird.